Excel graphs are easy enough for third graders. So try it. 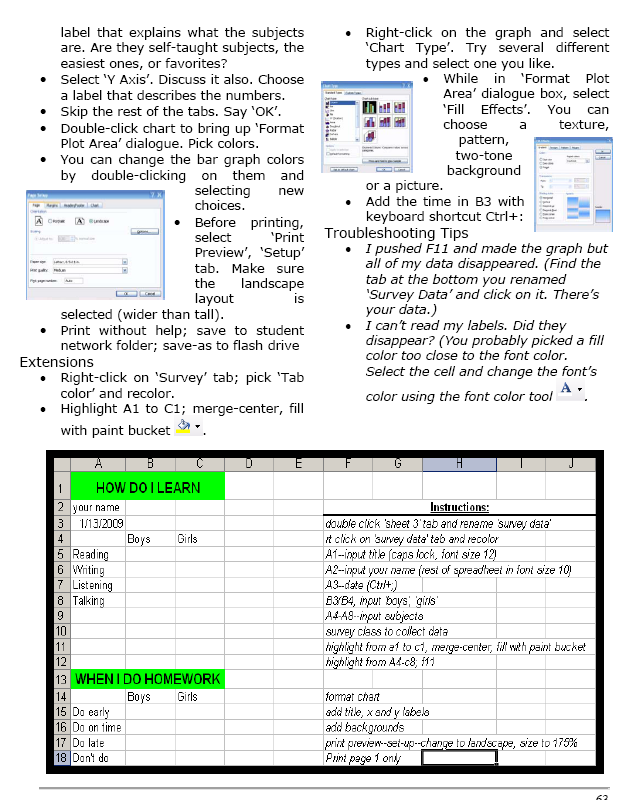 Collect your data, enter it into an excel worksheet and push F11. 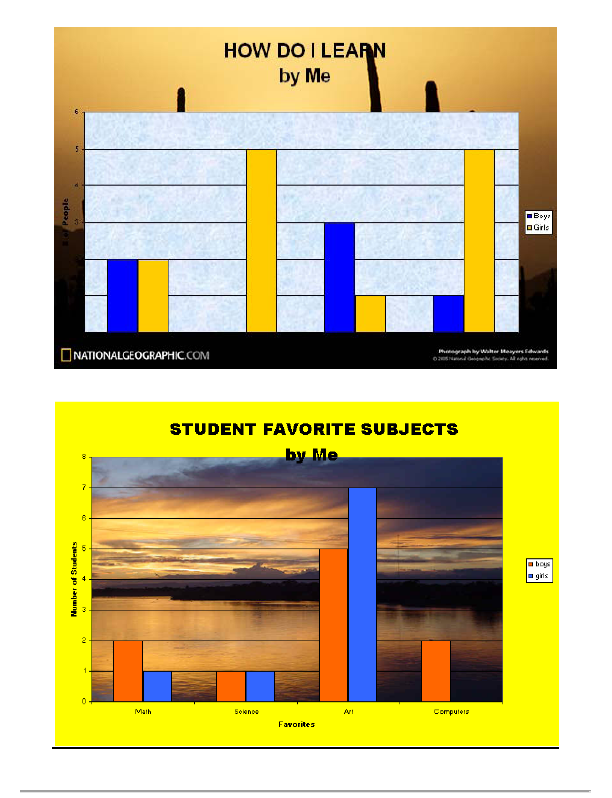 If you have more time, show students how to format the graph. This is a favorite with my third graders. 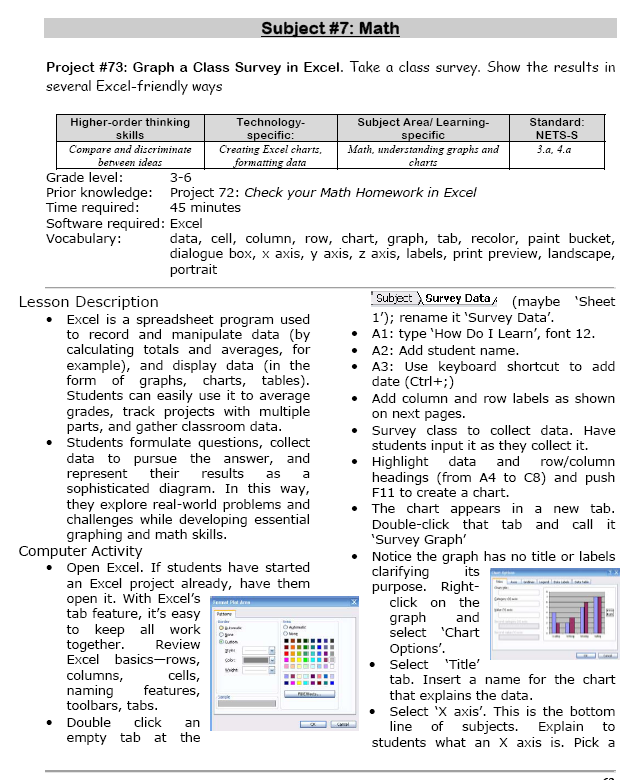 Tags: excel graphs, Excel projects, fifth grade, fourth grade, learn excel, third grade. Bookmark the permalink.